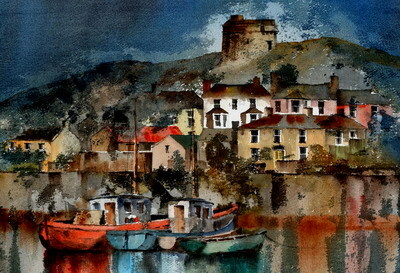 Val Byrne was born in Dublin, Ireland in 1936 . He studied Art and Architecture at University College Dubin (UCD) where he graduated with a Bachelor of Architecture degree. After a short spell working in London Val Byrne returned to Dublin and established a partnership with another architect. 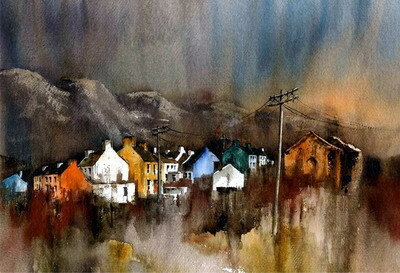 In the late 1980's Val retired from his Architect practice and returned full time to his love of painting. 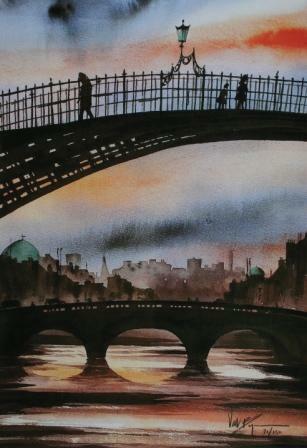 Because of his architectural background Val has a particular interest in the urban landscape of Ireland. 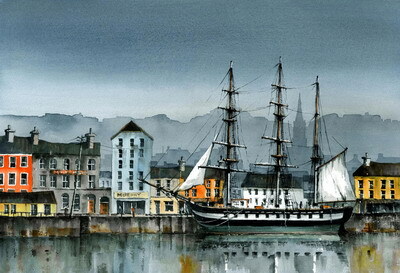 Most of Byrne's limited edition prints record Irish scenes of the 20th and 21st Century with an emphasis on harbours and boats and a mixture of domestic and residential buildings. Today Val Byrne paintings and prints are held in private and corporate art collections throughout the world including: Mary McAleese, President of Ireland; Mary Robinson, Former President of Ireland and U.N. Commissioner for Human Rights; Jean Kennedy Smith, former U.S. Ambassador to Ireland and several Irish Embassies in Europe, USA, Africa, Asia. In 2004 Val Byrne completed six large paintings for the Irish Ambassador's new residence in Canberra, Australia. 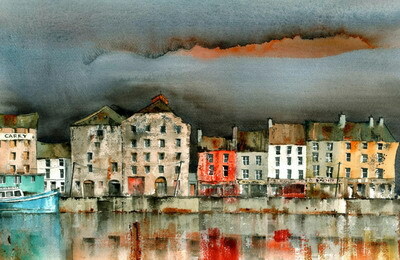 Val's paintings have also often featured in publications most notably Forty paintings were commissioned for the book " Bray and North Wicklow" published in 2004 and his paintings of the 75th Anniversary of the Irish Navy are included in " A Maritime history of Cork"
In addition to Red Rag Irish Art Gallery Val Byrne has exhibited at other leading Irish Art Galleries including the Royal Hibernian Academy. 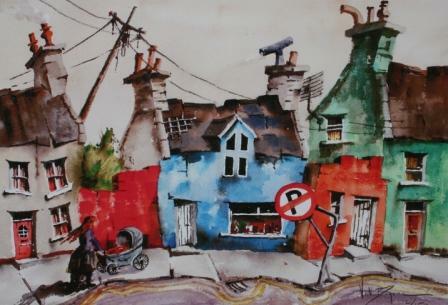 Every painting and limited edition print at Red Rag is sourced from the Val Byrne artist studio in Ireland and like all Red Rag Irish art and Contemporary art it can be shipped worldwide.